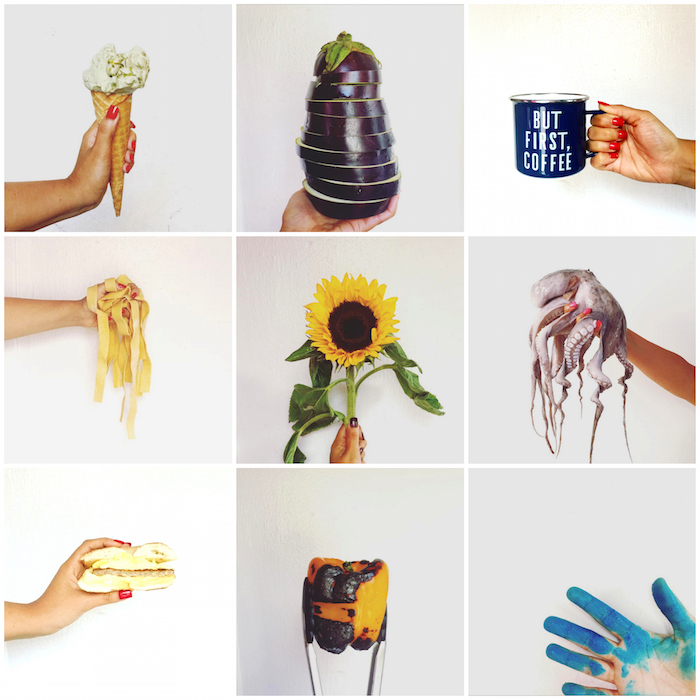 A few months ago, I started a fun little photo series on my Instagram featuring different objects (mostly food) in my hand. I took the first few at home, and then when I went on my trip to Greece and Italy, I took a few of the things we ate there. It would sometimes involve things like running around to find a white wall (I did that at the aiport in Rome and in the town of Amalfi with that gelato.) The octopus was messy since it was freshly caught and cleaned and dripping with water (I boiled and then grilled it after I took the photo.) The charred pepper was too hot to hold in my hand, hence the tongs. I started using the hashtag #always_inmyhand to collect them and thought I'd share a few of my them with you today. Click on over to my Instagram to see them all--I add new ones every week! Follow me @alwaysalejandra and say hi so I can follow you back, too!